Nitric oxide is crucial for optimum health. 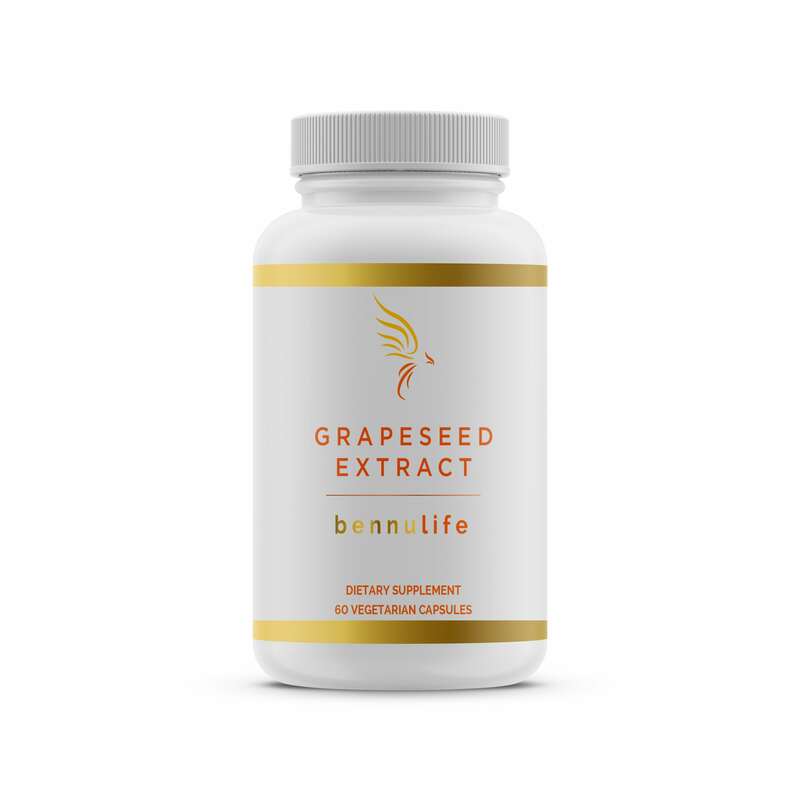 It helps to relax the blood vessels and improve blood circulation, thus supporting healthy blood pressure and increasing nutrient and oxygen delivery to every system, organ, and tissue in the body. The medical literature has clearly established the significance of nitric oxide (NO) homeostasis in human physiology. 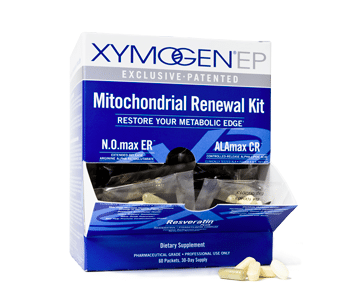 Nitrous oxide acts as an endogenous regulator of the intracellular availability of oxygen and is critical for normal mitochondrial function. After years of research and development at the University of Texas, Dr. Nathan Bryan and his team were able to formulate a lozenge that activates in saliva to induce the rapid production of NO gas to restore NO homeostasis. 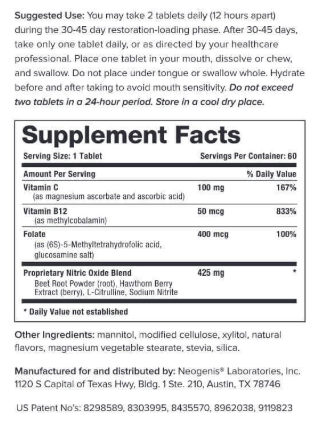 Neo40 Pro helps to quickly increase your body’s nitric oxide. It is a breakthrough in N-O delivery compared to standard L-Arginine supplements or traditional diets aimed at supporting heart health. 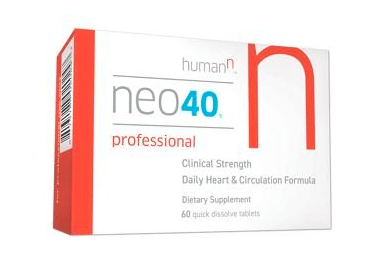 NEO40 Professional offers 20% more nitrous oxide production than Neo40 Daily. Suggested Use: Take up to 2 tablets daily (12 hours apart). After 30 days, take only 1 tablet per day. Place one tablet in your mouth, dissolve or chew and swallow. Do not place under tongue or swallow whole. Made with non-GMO ingredients. Product is free of gluten, dairy, soy, egg, corn and artificial sweeteners.